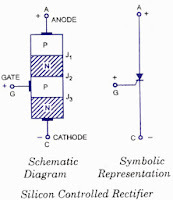 In this mode of operation anode is made positive with respect to cathode and gate is kept at zero potential. In this connection arrangement shown above junction J1 and J3 are forward biased while J2 is reversed biased due to which current is blocked and only a small amount of current called leakage current will flows from anode to cathode due to minority charge carriers till applied voltage reaches its break over value at which junction J2 breakdown and at this break over voltage it starts conducting but below break over voltage it offers very high resistance to the flow of current through it and said to be in off state. In this mode, SCR conducts currents from anode to cathode with a very small voltage drop across it (as the resistance of SCR reduced due to breakdown of J2, hence voltage drop across it decreases instantaneously). 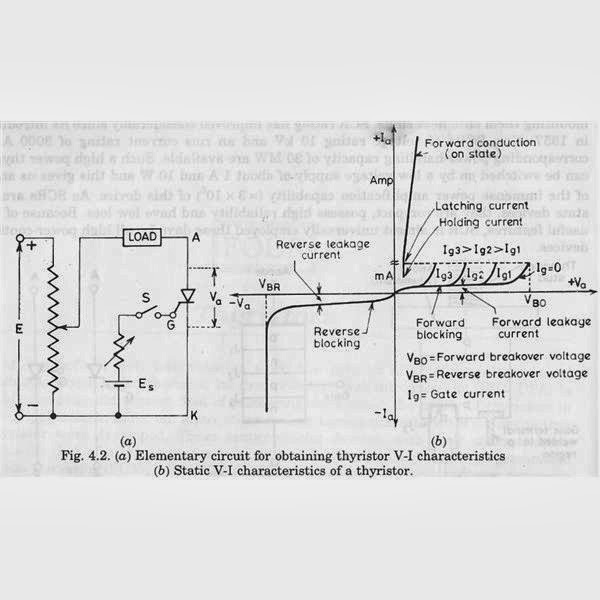 A SCR is brought from forward blocking mode to forward conduction mode by turning it on by exceeding the forward break over voltage or by applying a gate pulse between gate and cathode. In this mode, SCR is in on-state and behaves like a closed switch. Voltage drop across SCR in the on state is of the order of 1 to 2 V depending on the rating of SCR. It may be seen from the voltage drop increases slightly with an increase in anode current. 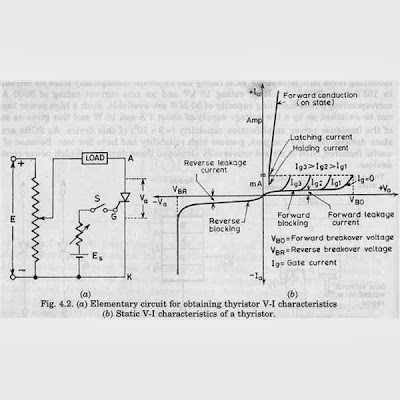 Break over Voltage: When the gate of the Silicon Controlled Rectifier is open, then the minimum amount of forward voltage which is required for Silicon Controlled Rectifier to start conducting heavily is known as Break over Voltage. When Cathode Terminal of SCR is kept positive with respect to anode, then the maximum reverse voltage at which Silicon Controlled Rectifier remains in OFF state or doesn't conduct , is called Peak Reverse Voltage. 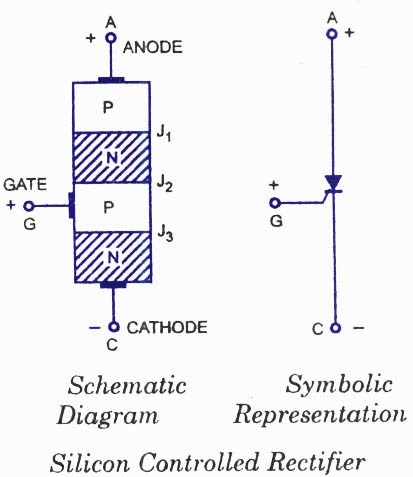 When the gate terminal of SCR is kept open, then the maximum value of anode current at which Silicon Controlled Rectifier is turned OFF from conducting condition, is known as Holding Current. The maximum value that an Silicon Controlled Rectifier(SCR) can bear or handle without burning is called Forward Current Rating.